Fluvanna County is part of the Charlottsville, Virginia metropolitan area. It is located within the Piedmont region of the Commonwealth of Virginia. As of the year 2010, the population was counted at 25,691. Palmyra is the county seat. Fluvanna County is a rural area outside of Charlottsville and dates back to the early 1700’s. It was once part of Henrico County, later the Goochland County and then Albemarle, until finally in 1777 it was established as Fluvanna County. During the early 20th century, a new line was built between Strathmore and the old Virginia Central Railroad line at Gordonsville. This brought growth to the area, and later a new freight station was built at Palmyra, the county seat. Today, it is noted to be a great place to live, learn, work, and play. Homeowners in the area enjoy a rural setting outside the busy metropolitan area. Many homes in the area are of Ranch or Colonial architectural style. Our professionals at Cavalier Window Cleaning have undertaken projects in the area to help homeowners clean up their properties with our expert power washing services. To date we’ve helped over 2,000 in the local surrounding areas. 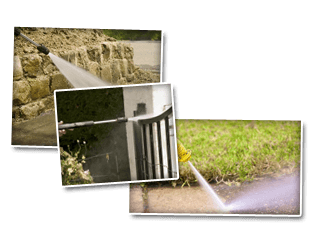 Our expert power washing services at Cavalier Window Cleaning & Power Washing are available for local homeowners. We serve with professional Window Cleaning, Power Washing, and Gutter Services. If you have windows, you probably also have window screens. Some power washing service companies forget this detail when they power wash homes, leaving the screens and window sills still dirty. This detail doesn’t escape our experts. When you hire a professional power washing company like ours, you can have every surface on the exterior of your home cleaned up. Imagine the surfaces of your home cleaned to such an extent that they look new again! If you’re thinking about what to do this spring for your deep cleaning projects, consider our power washing services. Do you have a gutter system that you’re really tired of having to clean? Our power washing services can help you. Not only can we clean up your gutters, but we can repair or replace them as well. If you’re seriously tired of having to worry over cleaning them, consider our gutter guard protection installation services. We can install guards that will help your gutter system stay cleaner by keeping out leaves and other debris. If you are looking for Power Washing Services in Fluvanna County, please call 434-823-1737 or 540-910-1434 or complete our online request form.